We've got three new trailers today for three very different animated movies due to launch before the year is out. 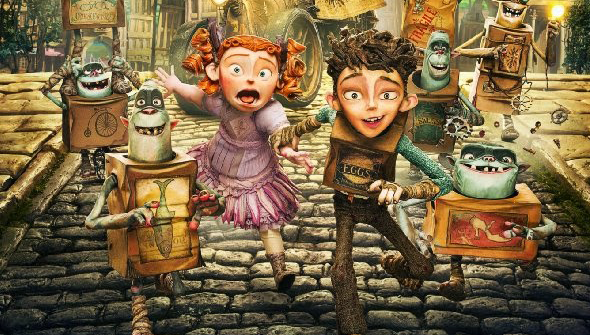 First up is the newest trailer for Laika's stop-motion flick The Boxtrolls. The follow-up to ParaNorman is already something we're keenly anticipating, but the studio is pulling out all the stops to win over the wider public. This latest trailer is shorter than some other previews that have been released so far, but this time it gives us a better introduction to the lovable trolls themselves. The Boxtrolls are let loose in cinemas in the UK September 12th, with the US following on the 26th. On the other hand we know much less about the Guillermo del Toro produced The Book Of Life. This second trailer spends more time setting up the characters in their normal existence, before sending hero Manolo into the fantasy world inspired by the Mexican Day Of The Dead holiday. The film has a distinctive visual style, and it looks like Zoe Saldana will be following up Guardians Of the Galaxy by voicing another strong, feisty woman. It looks interesting, if not spectacular, but we'd love to be proved wrong on that. In cinemas in the US October 17th 2014, and in the UK October 24th.